The scene tonight as voters struck down an Envision Spokane proposal for the third time. 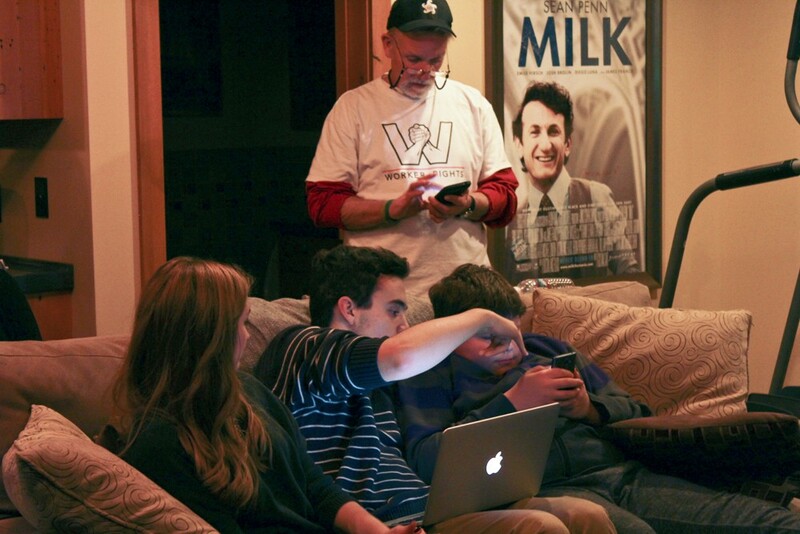 In a white Worker's Rights T-shirt, Brad Read, board president of Envision Spokane, was thanking volunteers when his sons announced the elections results from behind their laptop and cellphones. “Oh wait, that’s Spokane County,” said one of the children. County Prop 1. was the proposal to add two more county commissioners. City Prop 1. was the proposal they'd been fighting for. The Worker Bill of Rights. The room went quiet while they searched for the correct results. But the results for City Prop 1. was even worse. “It’s 62-37 against,” he said. The group of Prop. 1 supporters who gathered in a Peaceful Valley home tonight met the results with disappointed shrugs, then returned to eating tacos. “Enjoy the night, enjoy the liquor,” Read said. It was a letdown, but not unexpected. Prop. 1 was proposed by Envision Spokane, a community group operating under an offshoot called Envision Worker Rights, to give expansive rights to Spokane workers. The initiative would have, among other things, required businesses of 150 or more employees to pay an undetermined family wage, estimated to be between $17 and $23 an hour. It would also have restricted the rights of corporations. This was Envision’s fourth ballot measure. Two previous initiatives failed, and one is still in a lengthy legal battle to keep it off the ballot. All of the measures centered on worker rights, protections for the Spokane River and power for neighborhood councils. Opponents of the proposition on both left and right argued that it would stifle the local economy, bring lawsuits and cost the city jobs. While Envision has failed four times, the group promises it's not giving up.